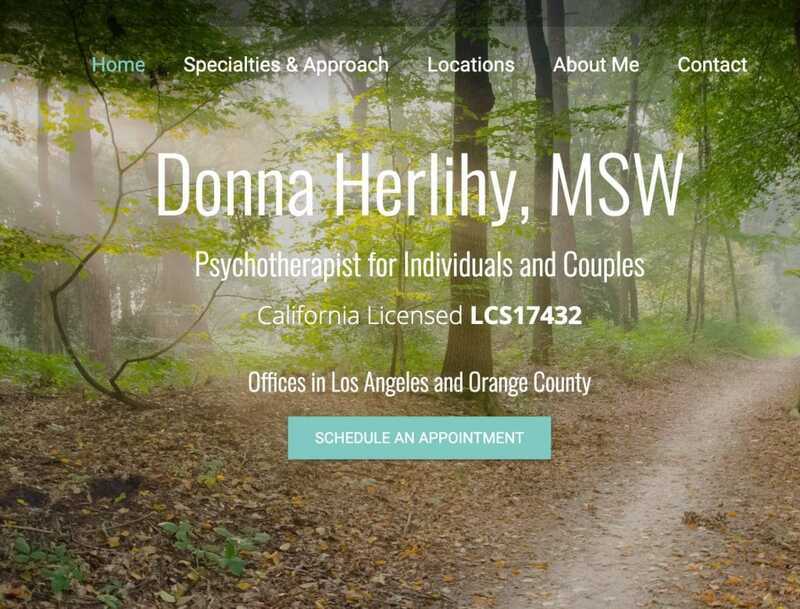 Imagine Monkey worked with closely with psychotherapist, Donna Herlihy, to capture a naturalistic feeling for her custom website. Focus was placed on imagery, color-scheme and usability. Design a unique, consumer friendly website layout with focus on typography, layout, colors and uniformity. Imagine Monkey designed a high-speed, user-friendly website built upon a custom framework. A focus was placed on call-to-action elements, as well as providing contact and location information easily. The newly redesigned website is providing her clients with easily accessible information, both on desktop and mobile devices.